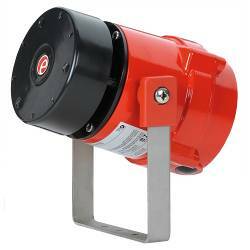 E2S BExDS110DR flameproof radial output Alarm Sounder 117dB(A). Anti-Static High impact ABS flare. LM6 aluminium enclosure. 32 alarm tones and 3 remotely selectable stages. Suitable for Zone 1 & Zone 2 applications. Omni-directional signal. Two M20 cable entries. IP66/67. ATEX, IECEx & GOST-R (1ExdIICT4) Approved. The flameproof BExS110-R alarm sounder is suitable for Zone 1 & Zone 2 applications and the BExDS110-R sounder also for Zone 21 & 22. All models have two M20 cable entries, large termination areas containing in & out terminals (Ex de version only) and an ingress protection of IP66/67 (Ex d) and IP66 (Ex de). Terminals: 0.5 to 4.0mm2 cables. Linemonitoring: Min. 500 O hm 2 w, or 3k3 O hm 0.5w res. or diode within Exd enclosure (dc versions). > ZONE 1 AND ZONE 2 > HORNS : 76 Items found. 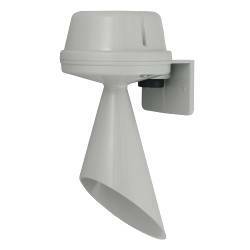 E2S BEDHEAD Alarm Sounder 90dB(A). Low current consumption. Suitable for close proximity signalling. 24VDC. E2S SONF1 compact and high output Alarm Sounder 100dB(A). Low current consumption and high SPL. Stainless steel fixings. 12VDC, 24VDC, 24VAC, 115VAC or 230VAC Versions. IP66. VdS and GOST-R Approved. Optional UL & cULs version. E2S H100T signalling Horn with Trumpet 100dB(A). 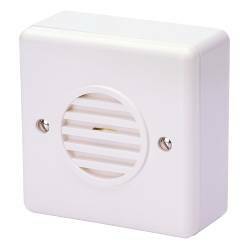 Compact with high output signal to generate a traditional 'buzzer' warning or two further alarm sounds. Surface Mount. Volume control and Stainless Steel fixings. 12-30VAC/DC or 40-260VAC/DC Versions. IP65. GOST-R Approved. E2S H100B signalling Horn 100dB(A). Compact with high output signal to generate a traditional 'buzzer' warning or two further alarm sounds. Surface Mount. Volume control and Stainless Steel fixings. 12-30VAC/DC or 40-260VAC/DC Versions. IP65. GOST-R Approved. E2S SON2 compact and high output Alarm Sounder 104dB(A). Low currentconsumption and high SPL. Stainless steel fixings. 24VDC, 24VAC, 115VAC or 230VAC Versions. IP66. GOST-R Approved. E2S A100SONTEL compact and high output telephone initiated Alarm Sounder 100dB(A). Three alarm tone frequency (siren, alternating, sweeping). Stainless steel fixings. High impact UL94 Housing. IP66. GOST-R Approved. 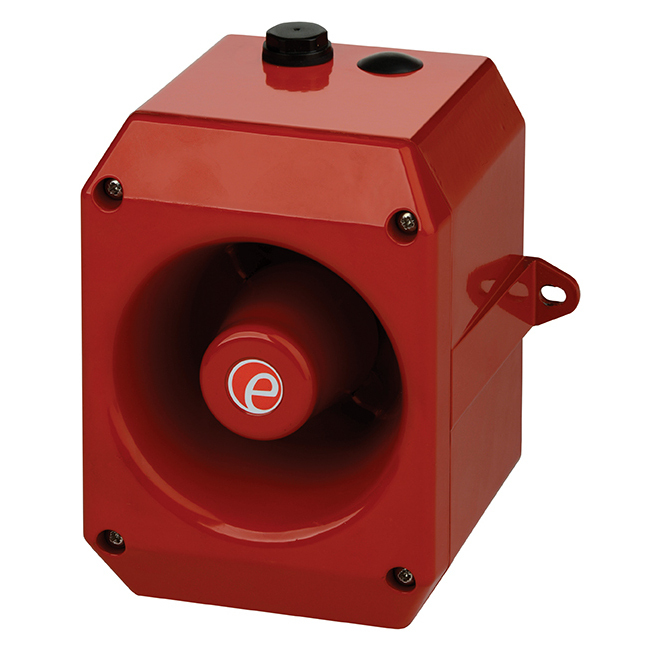 E2S A100 compact and high output Alarm Sounder/Horn 104dB(A). Low current consumption and high SPL. 115VAC, 230VAC, 24V, 10-30V or 48V Versions. Stainless steel fixings. Programmable version available. IP66. VdS and GOST-R Approved. Optional UL version. 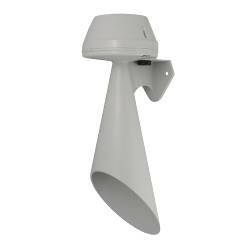 E2S A105NSONTEL compact and high output telephone initiated Alarm Sounder 105dB(A). Three alarm tone frequency (siren, alternating, sweeping). Stainless steel fixings. High impact UL94 Housing. IP66. GOST-R Approved. 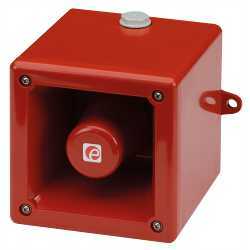 E2S B300SND Compact Signalling Horn 98dB(A). "Buzzer" type sound and two alarm sounds. Surface Mount. Stainless steel fixings. 12-30VAC/DC or 40-260VAC/DC Versions. IP65. 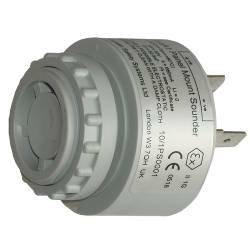 E2S A105N high output Alarm Sounder 112dB(A). Low current consumption and high SPL. 24VAC, 115VAC, 230VAC, 24V, 48V or 100V Versions. Stainless steel fixings. Programmable version available. IP66. VdS, GOST-R and MED Approved. UL version available. 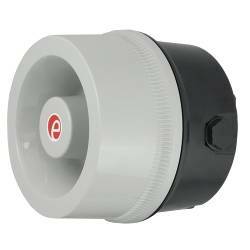 E2S GPH2 Flush Mount Alarm Horn-Buzzer 105dB(A). Low current consumption and high SPL. Robust and fire retardant housing. Stainless Steel fixings. 24VDC, 115VAC or 230VAC Versions. IP54. UL and cULs Approved. 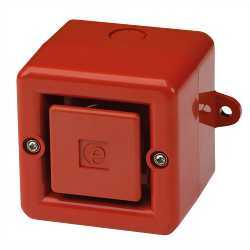 E2S GPH1 Surface Mount Alarm Horn-Buzzer 105dB(A). Low current consumption and high SPL. Robust and fire retardant housing. Stainless Steel fixings. 24VDC, 115VAC or 230VAC Versions. IP66. UL and cULs Approved. E2S H110T signalling Horn with Trumpet 110dB(A). With very high output signal to generate a traditional 'buzzer' warning or two further alarm sounds. Surface Mount. Volume control and Stainless Steel fixings. 10-30VAC/DC or 40-260VAC/DC Versions. IP65. GOST-R Approved. 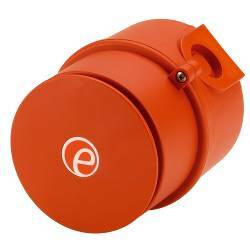 E2S B400SND Compact Signalling Horn 110dB(A). "Buzzer" type sound and two alarm sounds. Surface Mount. Stainless steel fixings. 10-30VAC/DC or 40-260VAC/DC Versions. IP65. 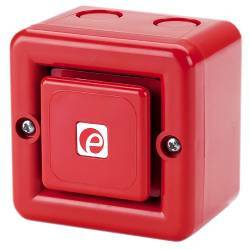 E2S IS-mA1 IS-minialarm compact Alarm Sounder 100dB(A). Stainless Steel fixings. IP65. ATEX, IECEx and GOST-R approved for Zone 0. FM approved for Class 1 Div 1 and Class 1 Zone 0. 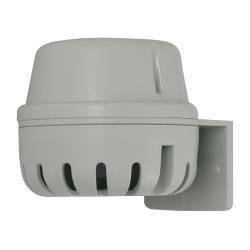 E2S GPH3 Surface Mount Alarm Horn-Buzzer 110dB(A). Low current consumption and high SPL. Robust and fire retardant housing. Stainless Steel fixings. 10-30VDC/AC or 40-260VDC/AC Versions. IP66. UL and cULs Approved. 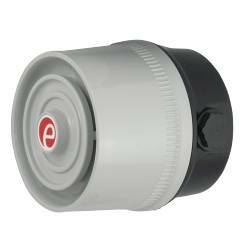 E2S GPH4 Flush Mount Alarm Horn-Buzzer 110dB(A). Low current consumption and high SPL. Robust and fire retardant housing. Stainless Steel fixings. 10-30VDC/AC or 40-260VDC/AC Versions. IP66. UL and cULs Approved. 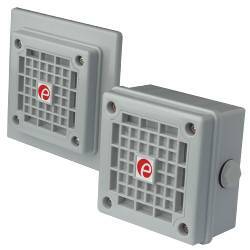 E2S IS-pA1 compact Panel Mount Sounder 90dB(A). Produces a high frequency continuous tone. 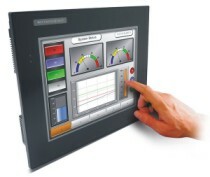 Ideal for control panels. IP66. ATEX, IECEx and GOST-R approved. E2S A112N high output Alarm Sounder 119dB(A). High SPL. 24VAC, 115VAC, 230VAC, 24V, 48V or 100/230V Versions. Stainless steel fixings. Programmable version available. IP66. VdS, GOST-R and MED Approved. UL version available. 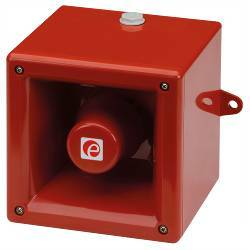 E2S A105NAX Appello X User Recordable Alarm Sounder 102dB(A). Low current consumption. 10-30VDC or 90-250VAC Versions. 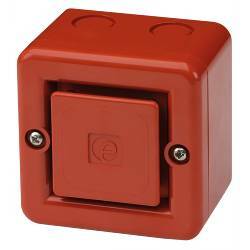 Robust fire retardant Type 4/4X/3R/13, IP66 housing. UL approved.